We finally got to try Peko Peko ice cream — the protein-rich, low-sugar, low-carb, low-fat frozen goodness that we've had our eye on for days and it didn't disappoint. Peko, a Japanese word, means the sound an empty stomach makes. Peko Peko gives us a way to say 'I’m hungry'. The indoor, as well as outdoor seating, is very cute and cosy, with those insta worthy walls full of plants and a huge mirror. 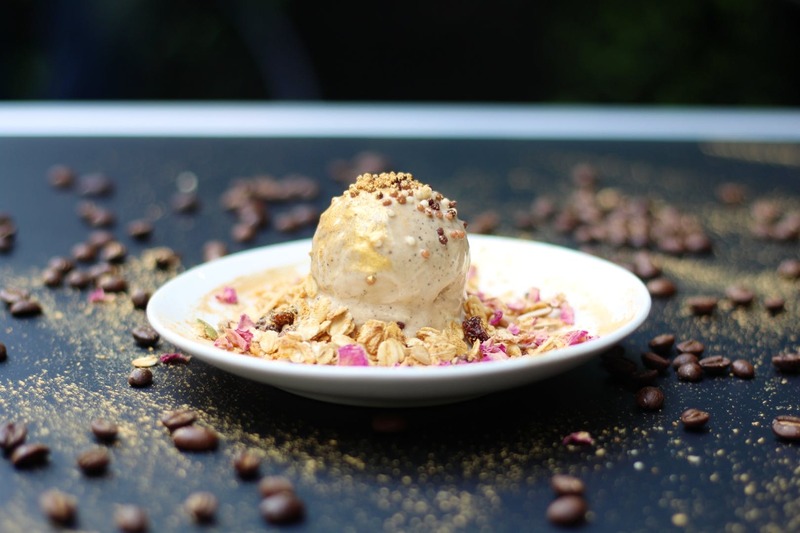 The menu is curated by Chef Rishabh Varma, he makes the happiness of eating ice cream a gourmet experience by offering great flavours and presenting them beautifully. Their new summer menu offers sorbet lin toothsome flavours like Passion Fruit, Tender Coconut Raspberry and Mango, my favourite is Tender Coconut Raspberry which is low fat, vegan, sugar-free, and served with roasted mango.The unique concept is they offer these as tasting portion, which is less than a scoop, a scoop, and a tub. The tasting portions are for those who want to try more than one ice cream. My favourite is Banana Chocolate ice cream served with farm fresh raspberry jam and hazelnut feuilletine wafer shard, plated up with edible gold dust. We've tried healthy ice creams before and honestly, sometimes they just don't live up to the real thing; you're left unsatisfied and a little annoyed that you didn't just let yourself have a scoop of regular ice cream. But fortunately, that's not the case with Peko Peko, which for all intents and purposes, is just like regular ice cream. Plus, they have these thick shakes that you will absolutely love and they are healthy too because they are made with organic milk. They also serve Affogato, an Italian coffee-based dessert. It usually takes the form of a scoop of ice cream topped or "drowned" with a shot of hot espresso.